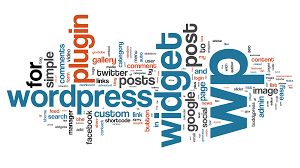 WordPress started as just a blogging system, but has evolved to be used as a full content management system and so much more through the thousands of available plugins, widgets and themes. WordPress is limited only by your imagination and is currently used by over 29% of all web sites. There are three suggested methods of using WordPress - WordPress.Com, Instant WordPress and WordPress.Org and this site has been developed using the latter. The links from the buttons below go to appropriate sites and WordPress Codex provides Help and Documentation for WordPress.Org. A glossary of WordPress terms can be found here. WordPress.com is a commercial site where you can host your own site for free, but with some limitations. It runs on the open source WordPress platform co-created by Matt Mullenweg and his company Automattic. Hosting with WordPress.com means that your site will be free forever, but you can also pay to upgrade your site to achieve your specific needs. It also means your site will be well looked after with top of the line spam-fighting power and automatic security updates. All you need to do is sign up and choose your blog name, then design your site. You won’t have to worry about installing the software since it’s all managed in the cloud for you instantly. You select your own domain name and it is built into a web address such as dovesoft.wordpress.com.